your choice of cello, flute, oboe, guitar, viola or clarinet. Digital download or two CD's beautifully packaged. Simple & sweet or fun and bouncy. Comes with your choice of violin, cello, flute, clarinet, oboe or guitar. 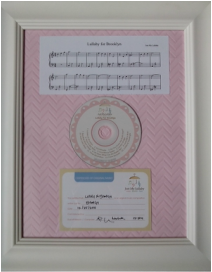 Your lullaby name printed and beautifully packaged.